An exclusive and strategic location couple with proximity to various facilities is the most important aspect of this property. The property is surrounded by greenery of garden. The property has the advantage of having all lavish and modern. 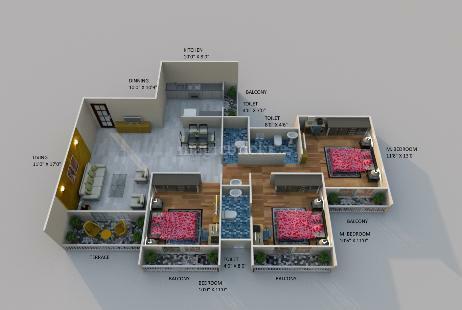 It includes living room and 3 bedrooms wide balconies, and kitchen. Landmarks : next to upcoming metro station.